Group outings are a great way to bond with your team or organization and we have the perfect place in mind for your next kid-friendly group outing! 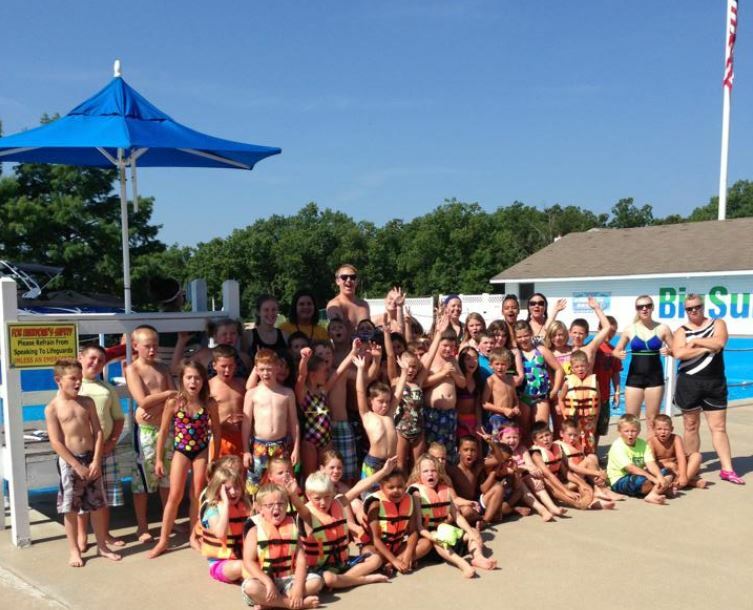 The best waterpark at the Lake of the Ozarks provides a fun and adventurous place for your group to celebrate. Whether you're kicking off a new season or celebrating an accomplishment, a group outing to Big Surf Waterpark is always fun! 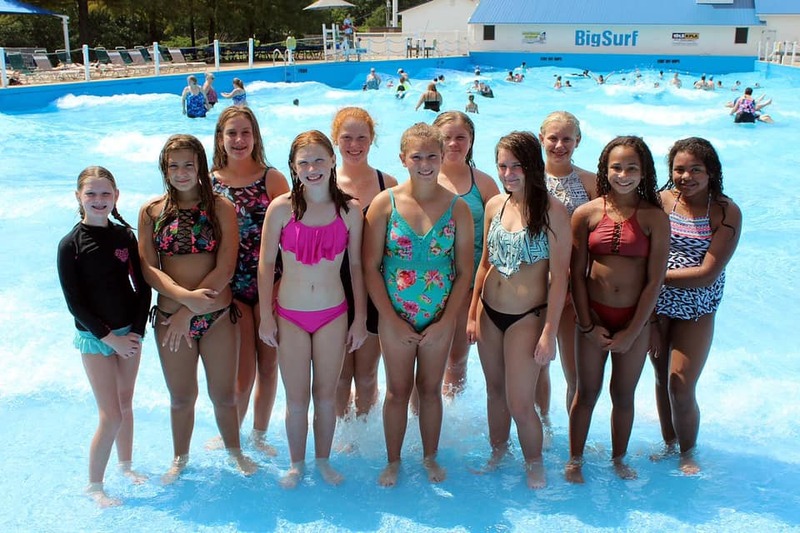 At Big Surf Waterpark, we can provide group outings with a difference that will be sure to make a huge splash! We cater to churches, companies, family reunions, and all sorts of organizations including clubs and associations. Or just grab your kids and neighbors – as long as you have fifteen or more people (not including babies 3 and under or active duty military) – we have a group rate for you! Groups of 15 or more visiting at the same time can take advantage of special discounted admission pricing. Please give us a 24-hour notice by calling (573) 346-6111 and asking for our group sales department. The key word is choice, and the choice is yours. But be warned: there’s an awful lot to consider. We will help you plan a unique experience that is tailor-made to your tastes and requirements. Whatever you decide, it’s sure to be memorable! Now that you know more about the group parties at Big Surf Waterpark, you're ready to start planning your big outing with your team or organization. Best Lake Attractions invites you to check out Bridal Cave and Ozarks Amphitheater for possible group outings, as well! We look forward to providing you and your team with a memorable day of fun at our Lake of the Ozarks attractions! Are you looking for the perfect place to entertain your family in the sun this summer? Big Surf Waterpark is here for you! The best waterpark at the Lake of the Ozarks is now open on weekends only, but there's plenty of fun to be had! As one of our Best Lake Attractions, Big Surf offers a TON of fun in the sun with a wide variety of rides and attractions. Take a look below to see how you and your family can enjoy your time at the waterpark! THRILLING RIDES: Twirl Around the Space Bowl The first of its kind in the US, our Space Bowl drops you from a sweet, swift slide into a 30-ft wide bowl that spins you ‘round and ‘round until you drop into an 8-foot deep catch pool. Feel the Rush on The Rapids Whirl and twirl your way down the white water rapids at Big Surf. Start this ride on either the big yellow slide or down below in the first catch pool for a kinder, gentler experience. End up making a big splash in the 3-foot-pool at the end of the rapids. Are you looking for a fun way to stay cool this summer with the family? Big Surf Waterpark is the PERFECT place for you to visit. You can soak up the sun, cool off in the water, and get adventurous with the rides. Whirl and twirl around or take it easy on the lazy river, either way - you're sure to love spending time at this Lake of the Ozarks waterpark. The waterpark offers fun rides and attractions for kids (and adults) of all ages. Take a look below to learn more about the wide range of attractions offered! Adventurous Rides: Twirl Around the Space Bowl The first of its kind in the US, our Space Bowl drops you from a sweet, swift slide into a 30-ft wide bowl that spins you ‘round and ‘round until you drop into an 8-foot deep catch pool. Summer nights are best spent at rockin' concerts! Make memories with your friends and family this summer at Ozarks Amphitheater. As the Best Lake Attractions, it would be hard to talk about summer fun without showcasing some of the awesome names this concert venue at the Lake of the Ozarks is bringing to the stage! Check out just a few of the upcoming concerts at Ozarks Amphitheater announced so far this year. The Lowdown on Ozarks Amphitheater: Recently named the “Best Live Music Venue in Missouri”, the amphitheater is located in the heart of the beautiful Lake of the Ozarks. Big names such as Alabama, Dwight Yoakam, and Jamie Johnson have all rocked the stage. Make plans to come out for one (or all) of the upcoming concerts this summer! We look forward to sharing new memories, making new friends, and enjoying fantastic music with you. A concert under the stars at Ozarks Amphitheater is a great addition to a long summer weekend at the lake.